A simple tutorial helps you learn how to draw a bar chart. Increase your understanding and work more effectively with our Bar Chart Software. 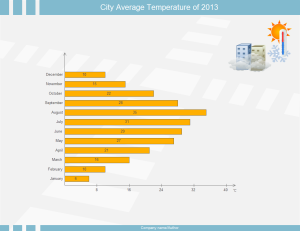 Bar chart is simple and popular method to visualize data. It show the comparison of one or more series of data points very effectively. 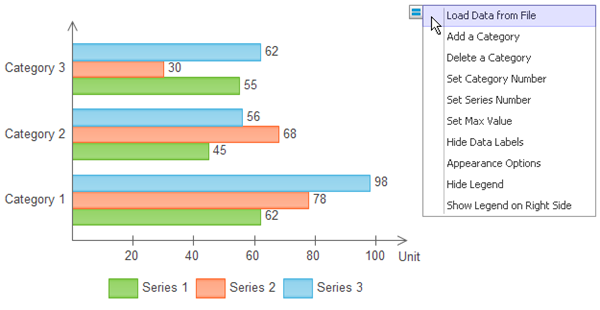 And the clustered bar chart is especially useful in comparing multiple data series. But how to make bar chart? If you are not skilled at coding, you can try this simple and intuitive way that every one could learn in just minutes. Edraw has included many blank bar chart templates to ease bar charting. These templates are well-designed and fully editable. You don't need to bother about drawing bar and axis. Just input your data and description. It is that simple. Besides the commonly used bar chart template, Edraw also offers 3D bar chart, stacked bar chart and 100% bar chart templates. 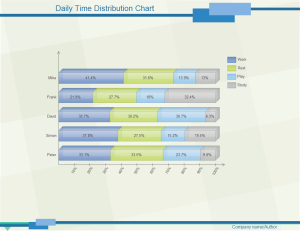 The buil-in bar chart shapes are designed with easy point-and-click editor. This editor helps users make modifications extremely easily. Choose the shape, a floating button shows automatically. Rest the cursor over the floating button and then you can see its drop-down menu. See below. Add a Category: Add as much category as you want simply by clicking on the "Add a Category" option. Delete a Category: Delete a category is as easy as above. Set Category Number: Enter a value to quickly set the category number; the minimum value is 1. Set Series Number: Enter a value to quickly set the series number; the minimum value is 1. Set Max Value: Click "Set Max Value" to input the max value of your bar chart. 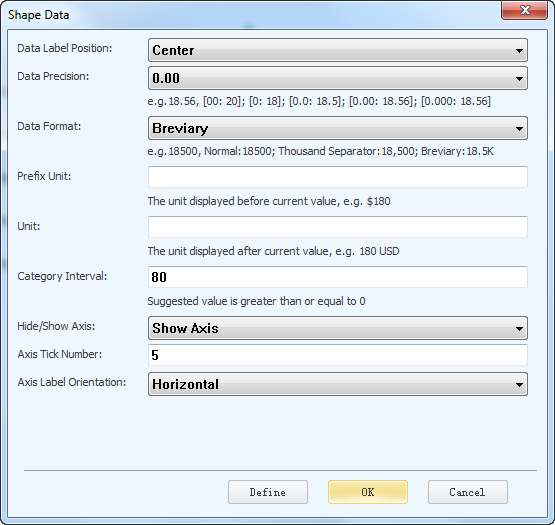 Hide Data Labels: Through this option, you can choose to show or hide the data labels. Hide Legend: Through this option, you can choose to show or hide legend. Show Legend on Right Side: You can choose to show the legend on the right side or on the bottom. Appearance Options: Click this button, a dialogue will pop up with more options. You can set "data label position", "data precision", "data format", "prefix unit", "unit", "category interval", "hide/show axis", "axis tick number", and "axis label orientation". Open the Bar Chart Template from the Chart library. Drag a suitable template from library to start your bar chart. You can edit the bar chart template easily through the poin-and-click editor. Select the chart > Vertically move the yellow diamond handle on the edge of the first category. Click Change the Interval on chart action menu to set the value, the interval value should be greater than or equal to 0. 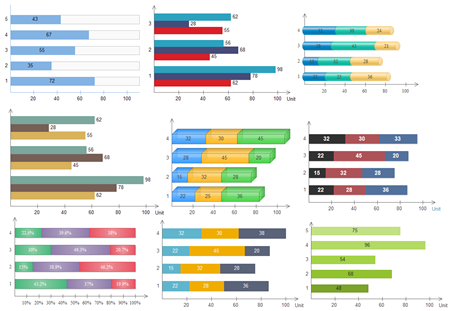 A great variety of bar chart styles and color schemes produce quality bar charts fitting for any purpose. From cylinder bar chart, 3d bar chart, highlight bar chart to gradient bar chart; we cover almost every style. When you complete the bar chart, you can save it as the project file for revision later. 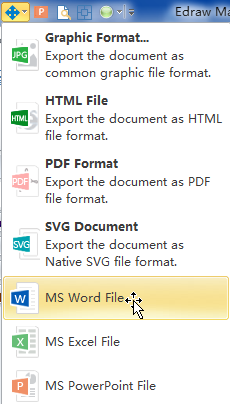 You can export it to MS Word, Excel or PowerPoint with one click on the Export button in the quick access toolbar. You can also print it or export it in the html, pdf, svg, transparent png format. Here are 2 bar chart examples for your reference. If the topic is need what you need to illustrate. Download it for free to present your ideas. You are allowed to download and use this editable bar chart template to design your own bar charts.